PRIMITIVE PILLOW SO CUTE FOR THE HOLIDAYS! THIS PILLOW FEATURES A PRIM ANNIE ANGEL WEARING A GREEN DRESS AND SHE HOLDS A CHECKERED BASKET WITH TWO GINGERBREAD MEN AND SHE HAS BLONDE CURLY HAIR WITH GREEN BOWS. 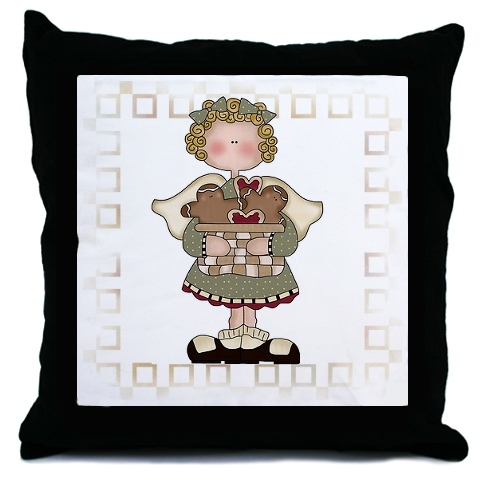 SWEET AND CUTE THIS PILLOW IS AND WOULD MAKE A GREAT GIFT FOR “SOMEONE SPECIAL”. VISIT HERE FOR DETAILS.